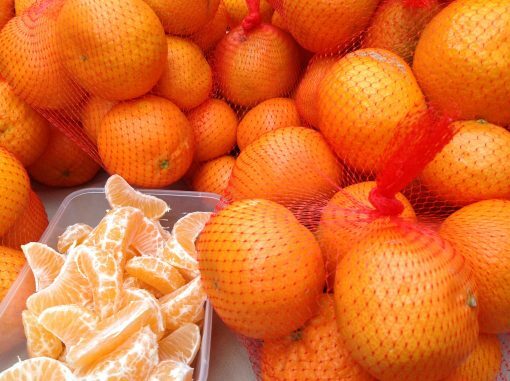 Capel Seedless Mandarins is a family orchard located on the Capel river. The combination of rich loam soil and pristine water produce magnificent tasting fruit. While we are not organic we do not spray any chemicals on the fruit or the trees. Clementine Nuels (June to August) An easy peel & very sweet mandarin. Their soft skin does not afford them a long shelf life and generally have to be eaten within a few days. Mystique (September to October) More like an orange with thick skin and very juicy. This fruit is quite large (+100mm) and has a distinct tangy taste and is ideal for juicing. When you get your fruit home: Our fruit is picked daily and as the customer your fruit is never more than two days off the tree. Store your mandarins in a cool dry location (between 6-10 Celsius), preferably with good ventilation. Any moisture will result in fungal growth.